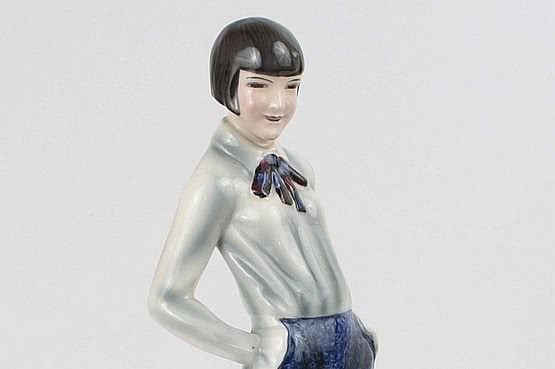 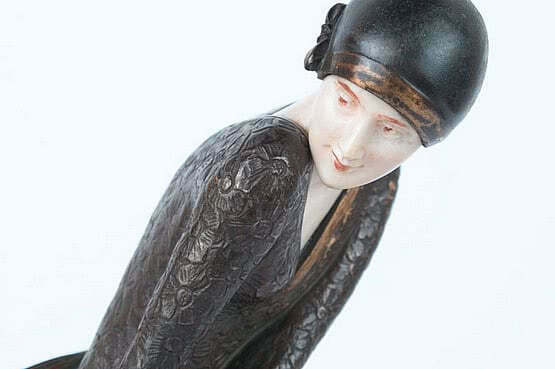 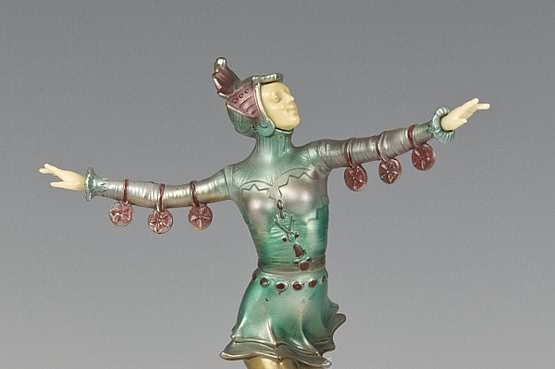 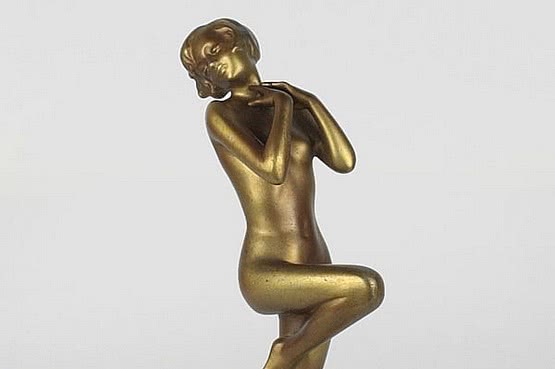 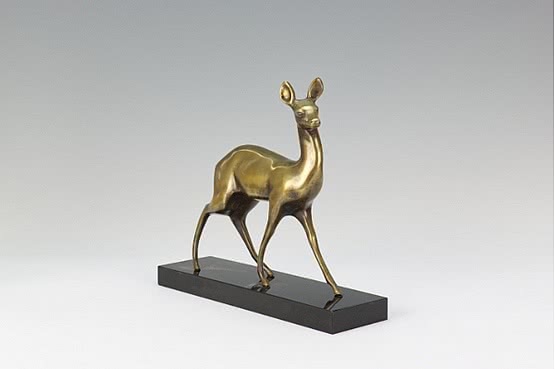 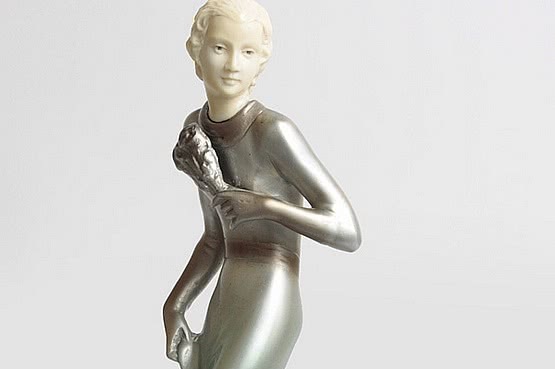 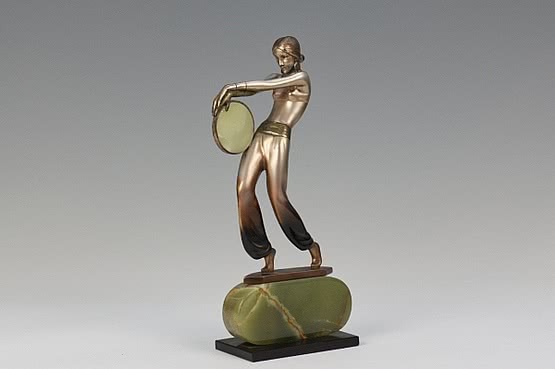 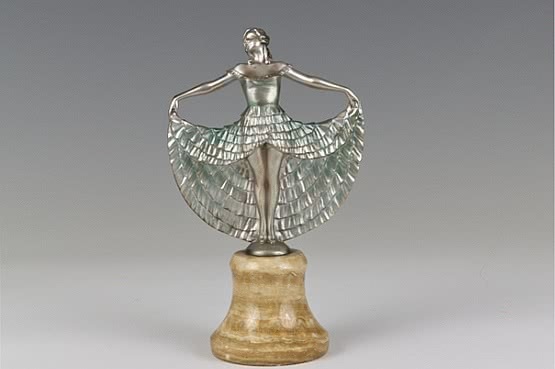 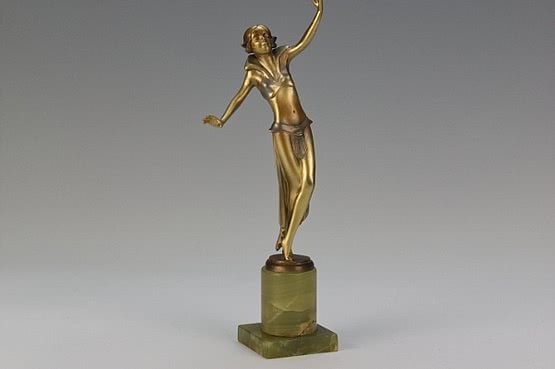 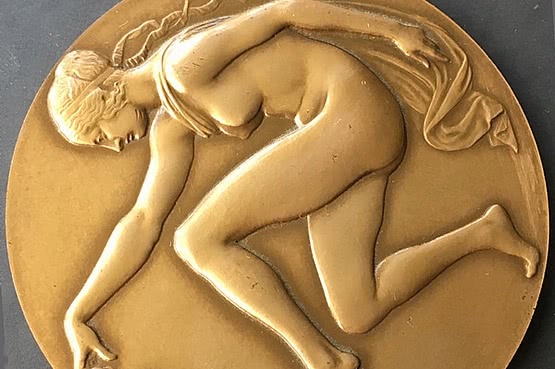 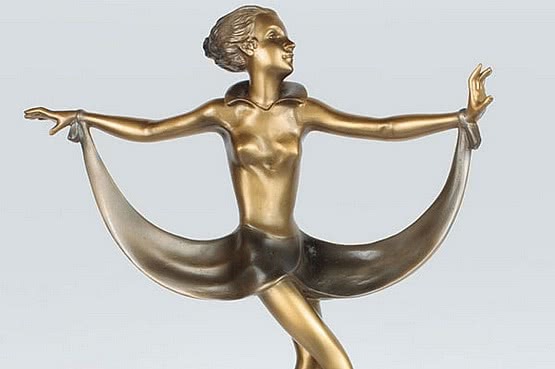 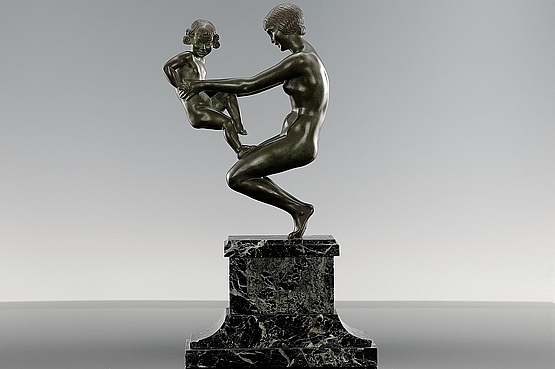 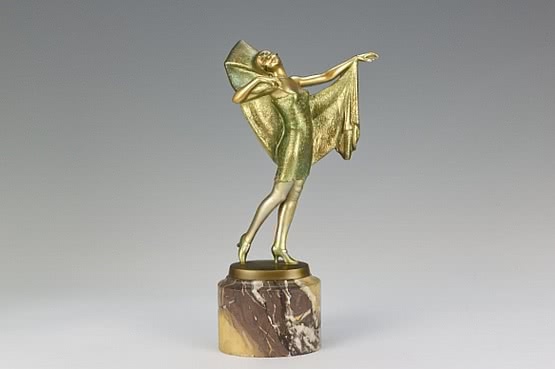 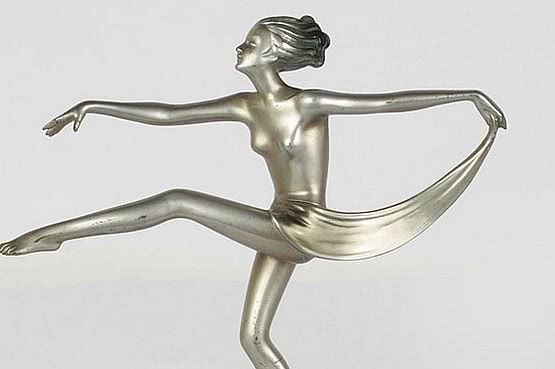 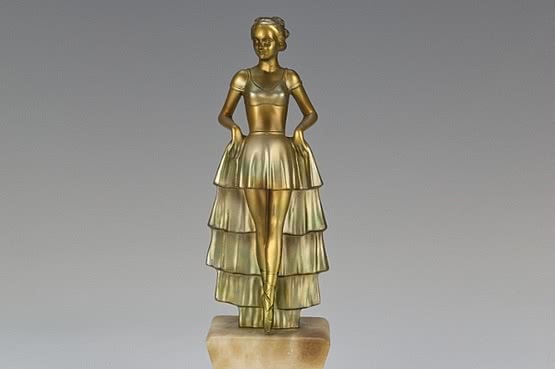 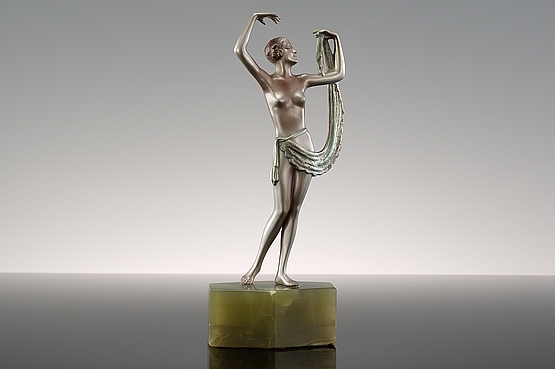 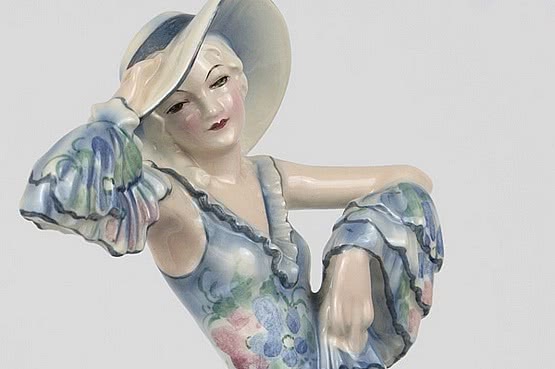 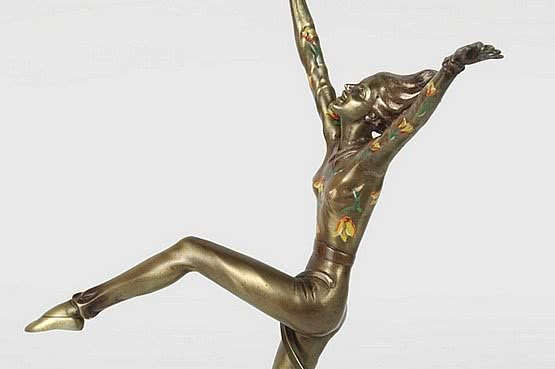 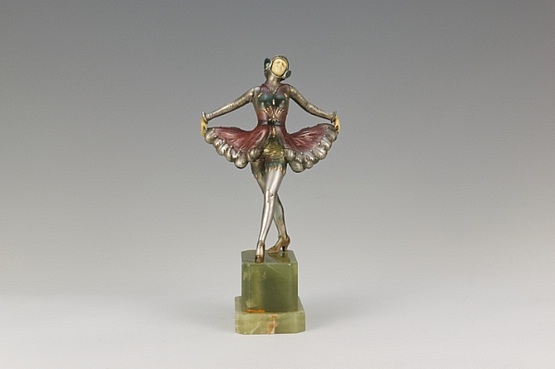 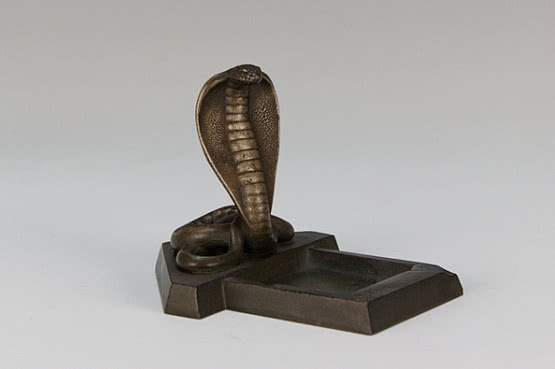 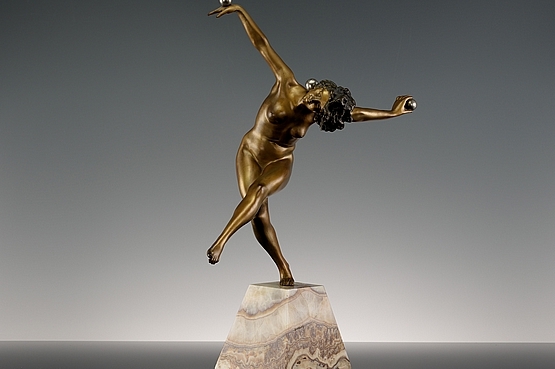 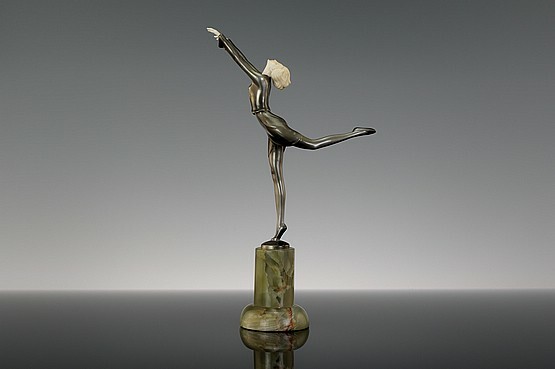 Art Deco bronze figurines are small-scale statues produced for home decoration in the 1920s and 30s (and originally for sale in many UK jewellers and department stores) that perfectly capture the spirit of the age. 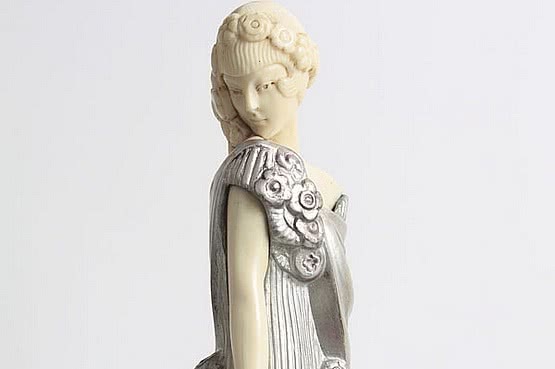 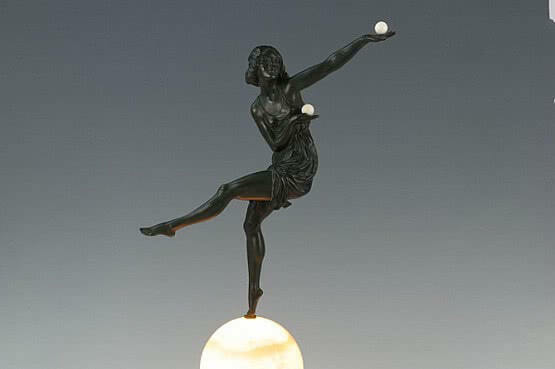 This romanticised time of luxurious transatlantic ocean liner palaces such as the SS Normandie and RMS Queen Mary, cocktails and flappers, wild jazz music, Hollywood and divine decadence was captured in bronze (with ivory) and spelter sculptures by famous sculptors such as Demetre Chiparus, Ferdinand Preiss, Josef Lorenzl and Claire Colinet taking their inspiration from the dancers, cabaret performers, movie stars and fashion in Hollywood, Paris and Berlin at that time. 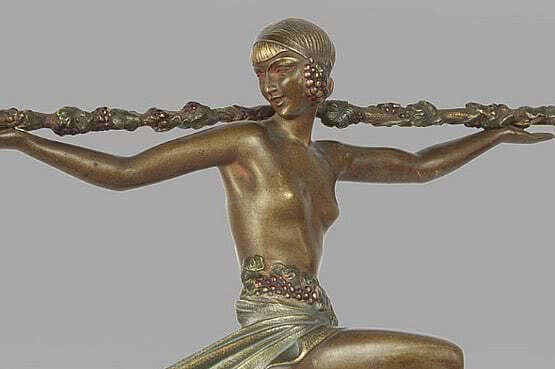 Exerpts from the (silent) 1928 French film L'Argent, starring Brigitte Helm with jewellery by Raymond Templier can be seen here.